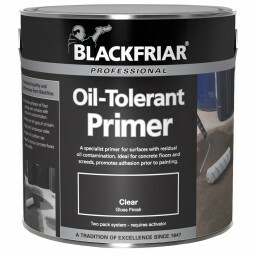 A two pack, specialist primer for surfaces with residual oil contamination. 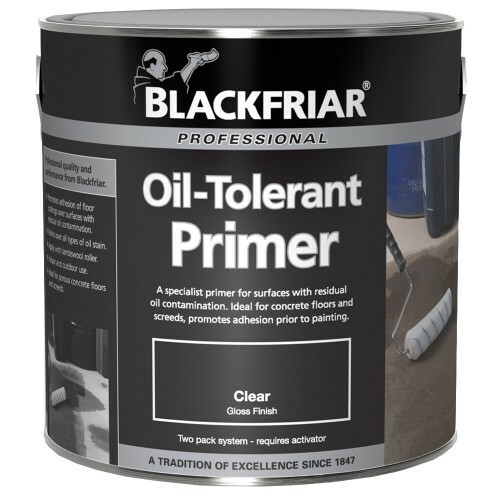 Promotes adhesion prior to coating with Blackfriar Professional Solvent-Free Epoxy Floor Paint. Work over all types of oil stains. Coverage up to 5 metre squared per litre. Drying time 6 - 16 hours at 20 degree C.